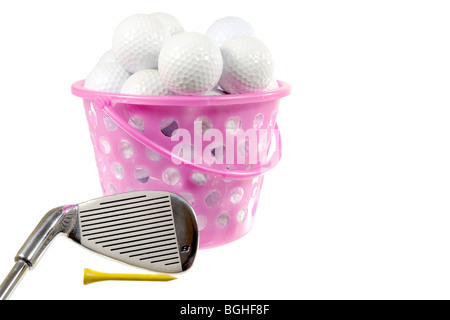 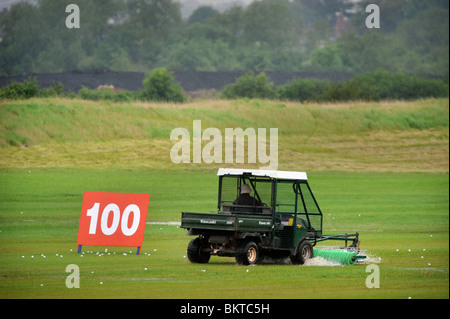 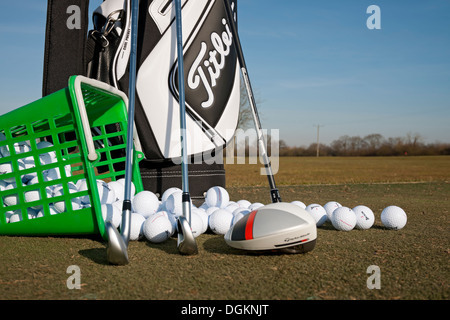 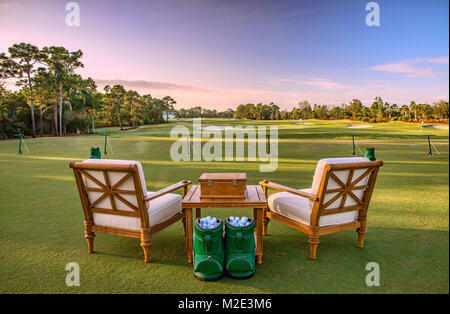 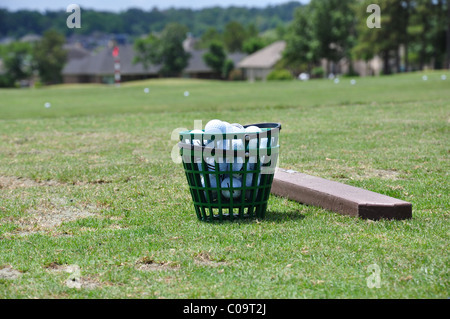 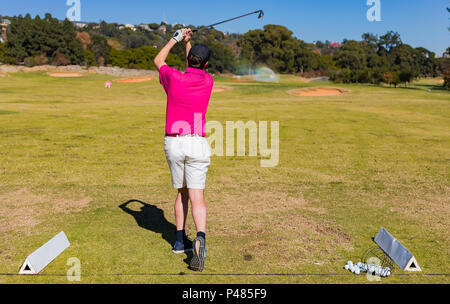 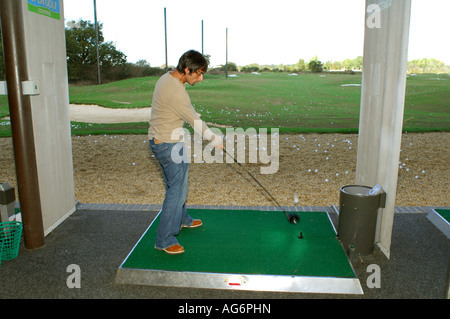 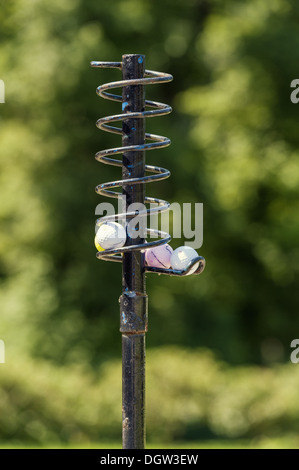 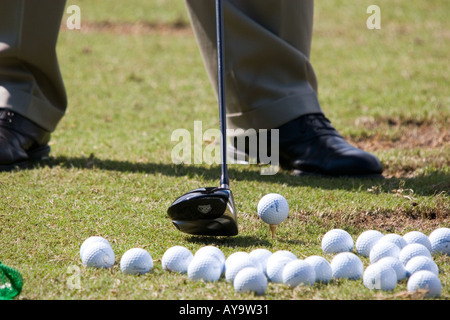 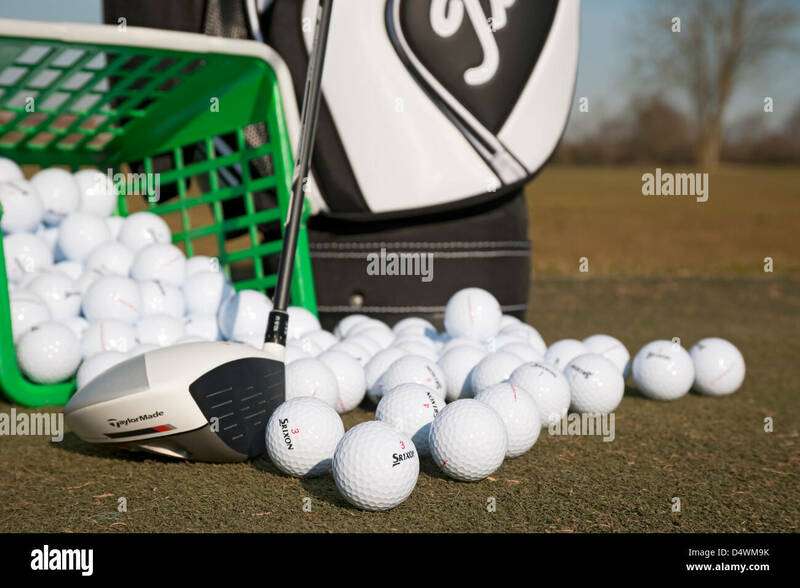 Image of a golfer on a driving range tee hitting a golf ball with a driver. 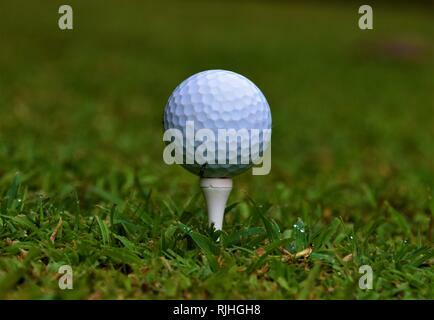 Golf ball in mid air with movement. 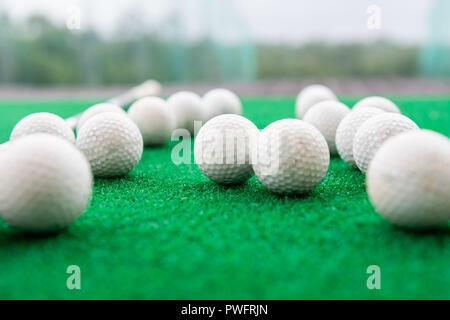 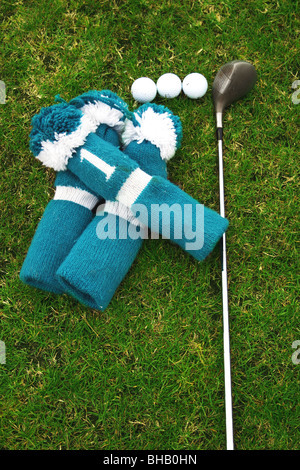 Golf balls on a synthetic grass mat at a practice range.